Customer service agents aren’t in it for the glamour. It’s not a job that comes with extravagant perks or over-the-top recognition. And most of the time, their job is to talk to customers who would probably rather not be talking to them. It can be a challenging job, but it’s not without redeeming qualities. For every agent, there are moments that make the job worthwhile, moments when the customer is surprised, delighted, or just plain relieved. Maybe it was when a family’s flight was cancelled but the agent was able to get the family home for the holidays anyway. Maybe it was when a time-sensitive package got lost but the agent was able to track it down. Or perhaps it came during a routine call, with an extremely thankful customer. Customer service “season” is year-round. However, the time before, during, and just after the holidays (think returns!) can be an intense time for many agents as they manage a heightened level of customer care issues around the same deadlines. Being a customer service agent is a tough job, and oftentimes a thankless one. So, during the season of giving, we would like to show customer service agents some love. 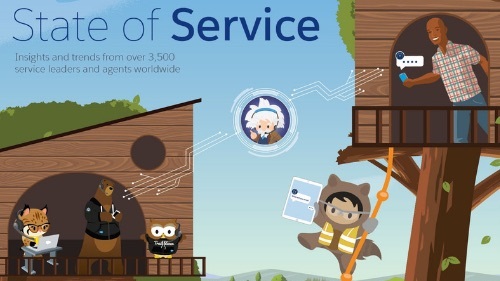 We at Salesforce want to hear about all the awesome things agents have done to take customer service to the next level — when they solved an impossible problem, pulled some strings to make a customer’s day, or went above and beyond to make a difference. That’s why we’re starting the #ShareTheServiceLove sweepstakes. We’d like to hear from folks all over (whether you’re a customer, an agent, or someone in between) about some of the incredible things agents have done in the name of customer service, so we can show appreciation for the agents out there and everything they do. Want to join the sweepstakes? It couldn’t be easier. Have you or someone you know done something amazing to make a difference for a customer? It doesn’t have to be a huge gesture. It could be something small that was especially meaningful. Share the story on social media (Twitter, Instagram, LinkedIn, or Facebook) between December 21, 2017, and January 26, 2018, using #ShareTheServiceLove. Salesforce will randomly select three entrants who shared their stories. 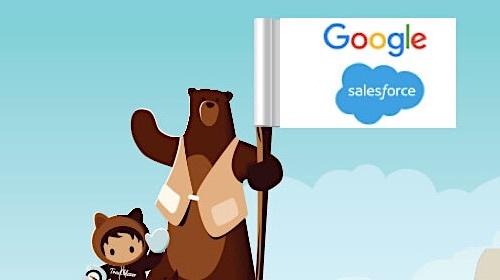 Each will win a Service Cloud prize pack of goodies and Salesforce swag, as well as a $100 Amazon.com gift card. 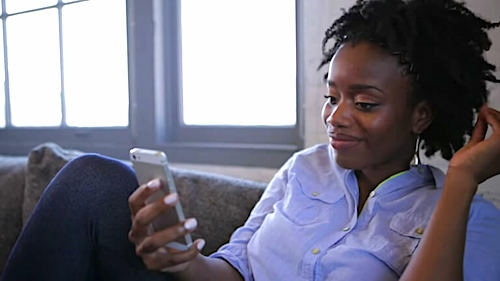 We at Salesforce are raising the rally cry for the unsung heroes who are blazing new trails in customer service every day. What makes the job worth it? Share your stories and express your appreciation for the agents and managers who make a difference. 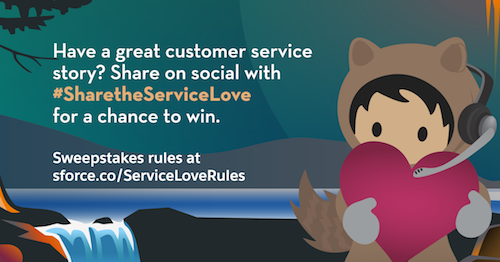 Let’s generate some positive energy around customers service with #ShareTheServiceLove.